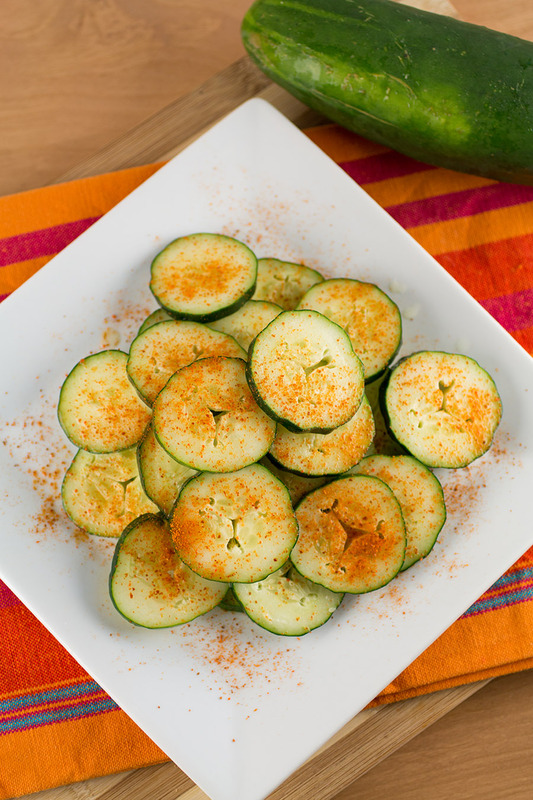 This Mexican recipe with chili powder, lime juice and cucumbers is very easy to make, and is perfect for an appetizer or quick snack. This is an extremely simple dish to make, and is quite perfect as a party appetizer or introduction to brunch. Serve with champagne or a cold margarita if it isn’t too early. We like to make this when the garden is going crazy, or when our neighbors’ gardens are going crazy. Seriously, we had to stop growing cucumbers because everyone else in the neighborhood is growing them, and everyone wants to give them away. 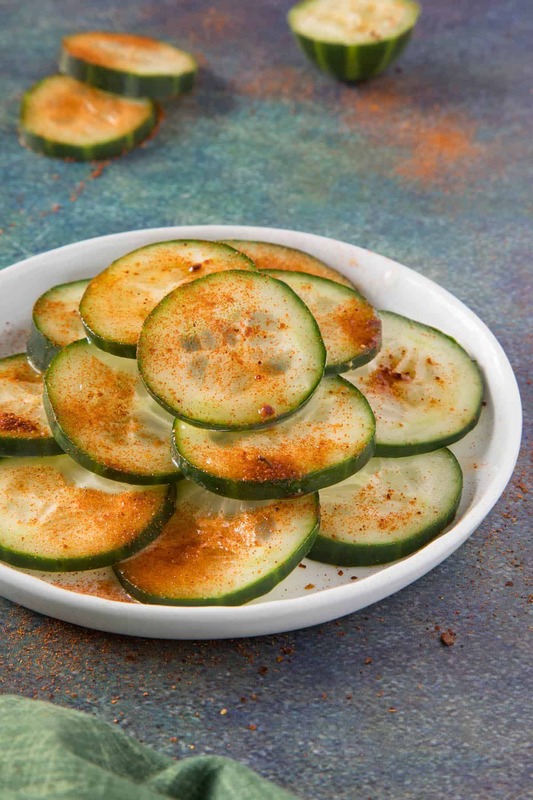 Why does the world need so many cucumbers? It’s hard to complain since they are so delicious. 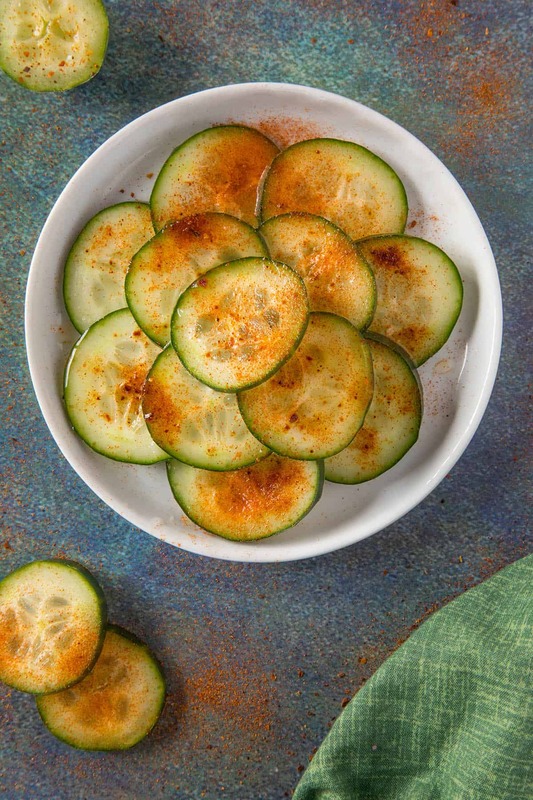 This is a great mini appetizer or snack with a spicy Mexican flair, depending on your choice of chili powder. 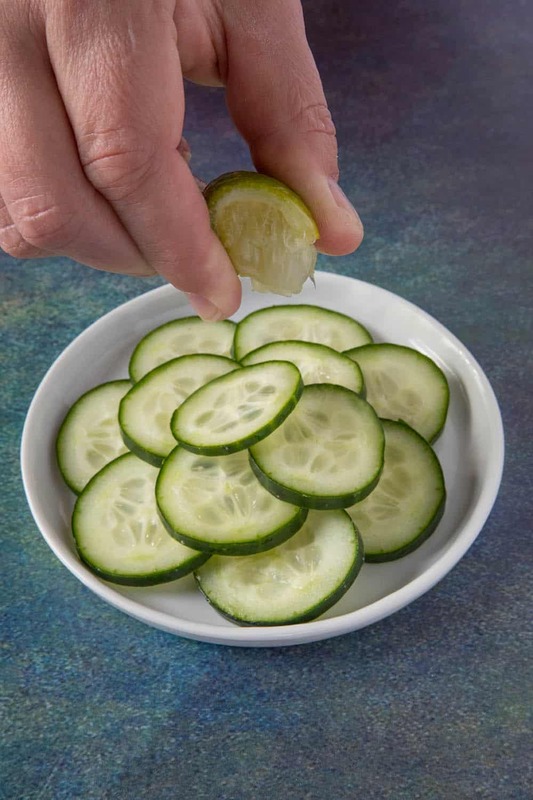 First, slice cucumber into thin slices. 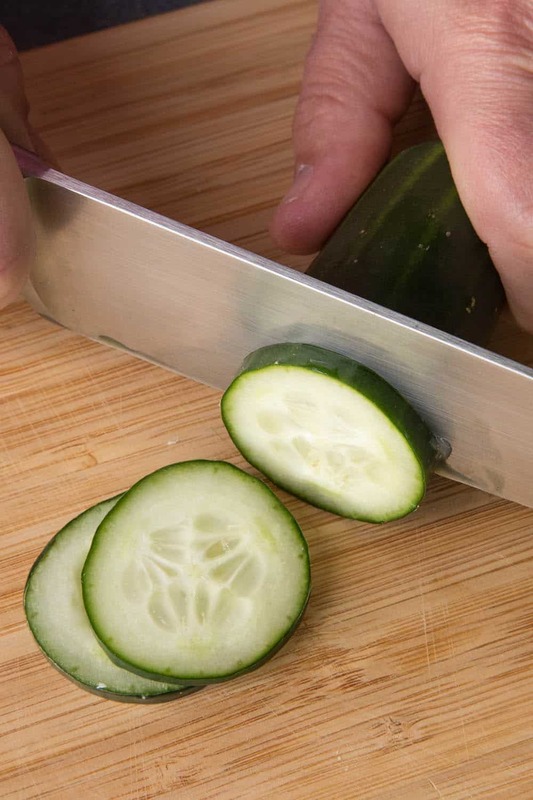 You can slice them as thick as you like them. I like them thinner, about a quarter inch thick or so. Next, drizzle with lime juice. Use fresh limes here if you can. They will give you superior flavor. You can also use lemon juice for this recipe. Try them out with freshly squeezed lemons. 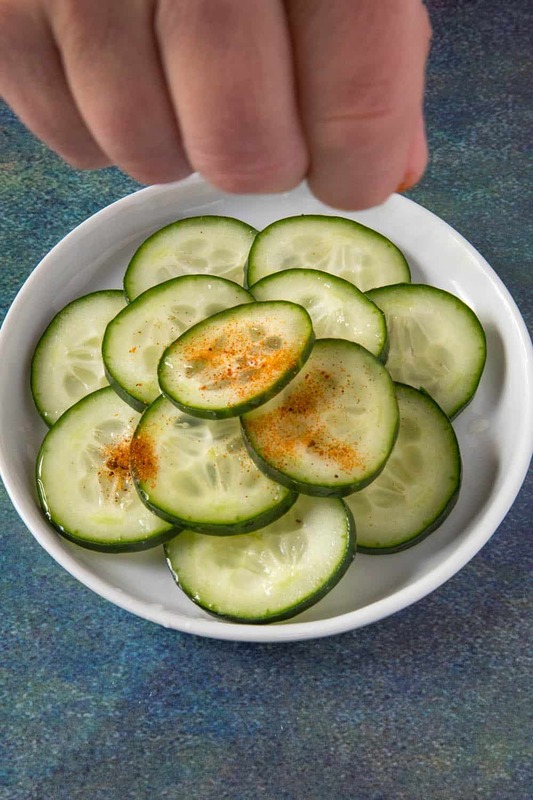 Finally, sprinkle the cucumber snacks with chili powder and a bit of salt. I like to vary it up when I make these little Mexican snacks. Sometimes I will use pure ancho chili powder, or perhaps a morita powder, or even a nice blend of American chili powder. Try my homemade chili powder recipe for this. Tajin seasoning is a good choice, too. 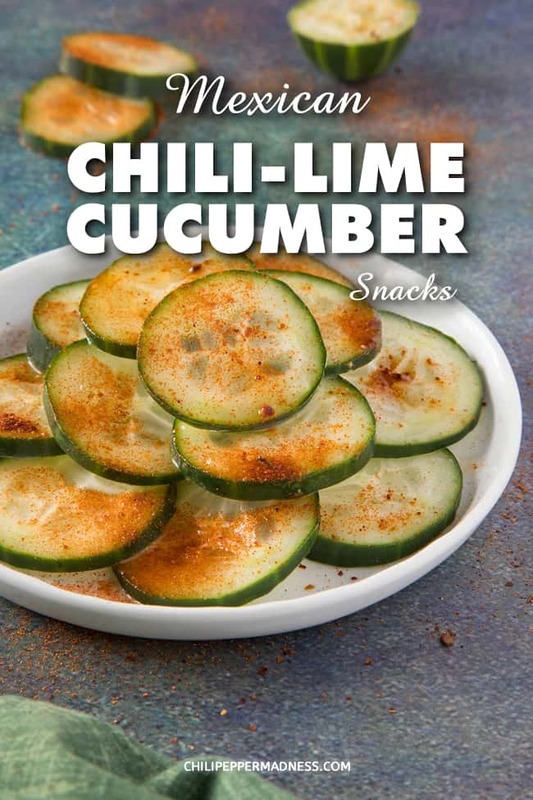 It’s a mixture of chili powder, salt, and dehydrated limes. Nice flavor for sure! That’s it my friends! Serve the up! I hope you enjoy your spicy snack time. Sprinkle with chili powder and a bit of salt. This recipe was updated on 2/24/2019 to include new photos. It was originally published on 5/19/2014. Pure genius, Mike, pure genius!